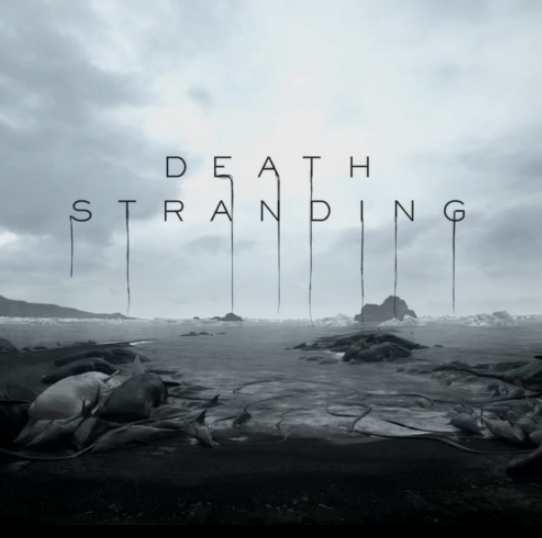 Hideo Kojima's latest mysterious project "Death Stranding" received it's due at the Sony showcase yesterday, providing us with a trailer that blended cinematics with real gameplay, and did a fair job at providing answers to questions about the game. 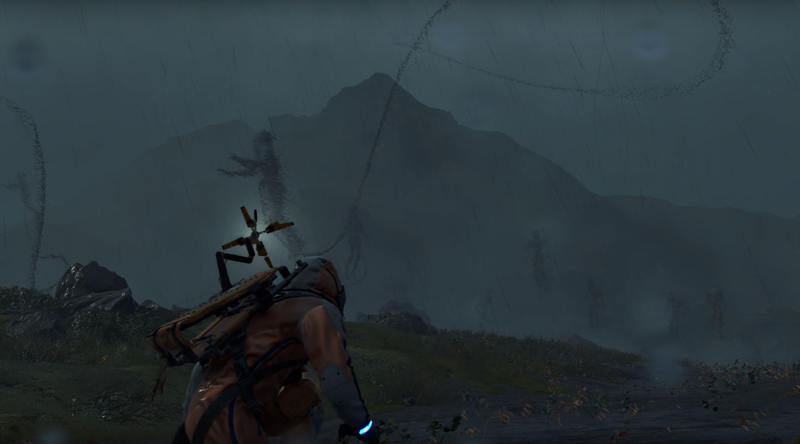 Unfortunately, with a world as dark and strange as Hideo seems to be creating for "Death Stranding" we were certainly left with plenty of new questions as the trailer ended. What we can gather from the start of this trailer, Sam the main character (portrayed by Norman Reedus) appears to be some kind of deliveryman - bringing loads of packages across vast empty space of wilderness. The environment itself looks pristine and beautiful, though as you watch the trailer, one doesn't exactly envy Sam's job. There are plenty of dangers in that epic, untouched wilderness. The primary danger appears to be something called "timefall." Timefall appears to be something in the rain, which causes things caught in it to age quickly (as seen in this trailer for the game) and it also seems to the invisible creature-entity leaving behind huge handprints as it hunts things down. The woman in this latest trailer said that they "fast forward in time whatever they touch," which doesn't seem like a great way to go. The Timefall entities seem to appear as both the crawling, hand-print variety and a kind that seems to hang in the air via some sort of cord (an umbilical cord, perhaps?). The latter type can only be seen by the flashing light device that Sam has over his shoulder, which seems to be triggered by proximity to these entities. These types may also be part of massive creatures that are seen in the trailer linked above. We are also introduced to the term "voidout." A voidout seems to occur when people are eaten by the Timefall entities, which causes a massive explosion. It is unclear if everyone causes a voidout when eaten or if it's just certain people. What we do know is that if Sam gets "voided out," he will be brought back to life. "Death Stranding" does not have a release date yet, and is currently being developed for the Playstation 4.